Workout Analysis is our most popular Summit running feature, and now you can use it to review your performance on the go. Just like your workouts, the pace of the world is picking up, and you shouldn’t need to park yourself in front of a computer to get the lowdown on your last training run. Whether you’re alternating between hard efforts and recovery, trying to nail a dead-even pace or building up your run-walk intervals, getting the details on your laps and splits is critical, but the longer you wait to review your performance, the more likely it is you’ll forget those mental notes you made while you were out. That’s why we’ve brought our Summit Workout Analysis feature to your smartphone – so you can dig into the details of your workouts anytime, anywhere. Just look at these beautiful, consistent efforts. A runner’s masterpiece. Workout Analysis automatically graphs each split made when you use your device’s lap button or autolap function. Don’t use laps? No worries. You’ll see your splits by kilometer or mile according to your default measurement setting. Laps or no laps, you’ll have clear representations of each workout’s splits, distance and pace. Pace zones show up in varying shades of blue, making it easy to see your intensity level for every effort. If you haven’t set up your pace zones, you’ll be guided to our zone calculator. It’s a snap to use. Don’t worry. We’ll take care of the math. Oh, and one more thing. Along with being able to switch between lap and kilometer/mile splits, you can also change up elevation and heart rate overlays in order to maximize information without cluttering up your view. 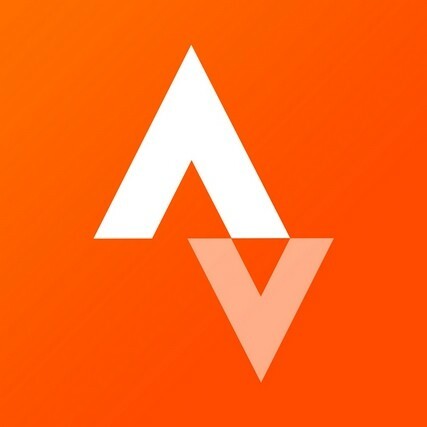 Meet the graph that captures the hearts of Summit athletes all across Strava. Refining your training based on past performances is key to becoming a better runner, and it’s easier than ever to do using Workout Analysis on Summit. Now you can check your numbers while the details are still fresh in your mind (and in your legs) at the track or on the go.